The above video is an in depth look at what the Mildot Master (MDM) can do for you as a Long Range Shooter, and the video is rounded off with my final thoughts on the product. To successfully engage targets at Long Range accurate range estimation is paramount. If you incorrectly estimate your “range to target”, you will miss…that’s a FACT. As mentioned above, range estimation using the formulas for MIL or MOA reticles takes time which often times…you don’t have. Thanks to the Mildot Master (produced by Mildot Enterprises), range estimation can be done “in the field” in seconds! But the Mildot Master isn’t a one trick pony…range estimation is not all it is capable of. Ranging & Measuring for Mil reticle users. Ranging and Measuring for MOA reticle users (many folks are unaware of this). Mil to MOA conversions and vice versa. 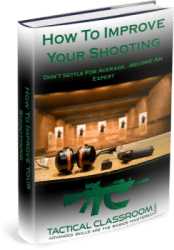 Angled Shooting – Scales the range based on the look angle. Converts bullet drop from inches/centimetres into MOA or MILS. The MDM is available in Metric or Imperial options. The Imperial version is pictured here alongside my Gen.2 RPR. The Mildot Master doesn’t account for density altitude (the actual conditions that the bullet is flying through) but…it isn’t designed to so I can’t really fault it for this. If you are using the MDM in conjunction with DOPE cards that account for density altitude (DA) then this “problem” (if you can call it that) isn’t really a problem. When it comes to adjusting for angles, the Mildot Master uses the “Rifleman’s Rule” technique. Although this method will get you “close enough” (and is certainly better than not correcting for the angle at all), it isn’t perfect. For example, at 800y and with a look angle of 20° (Cosine 0.94), the MDM/Rifleman’s Rule will give you a “scaled horizontal range” of 752y. The Enhanced Rifleman’s Rule (aka the Advanced Rifleman’s rule) will give you around 775y (as will a Ballistic Solver). BUT…at the end of the day, unless you are hell bent on precision, the MDM will get you “close enough”. Its not expensive…its less than $40 USD! Its designed for Military Applications and so is tough! It will ALWAYS work…unlike electronic devices. I can’t really fault the Mildot Master so…to drag up some con’s I have to be really picky! 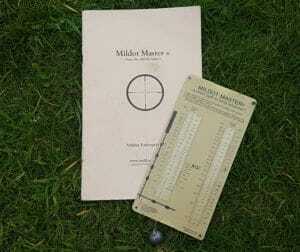 Is the Mildot Master the right tool for every Long Range Shooter? No…if you are a known distance shooter (F Class, or Benchrest for example), you are unlikely to need the Mildot Master. For EVERYONE else…this is one tool you should definitely have in your toolbox! The Mildot Master comes with a helpful manual which explains its use. IMHO, unless you only ever shoot/compete in known distance events, as a Long Range Shooter you should definitely invest in the Mildot Master…it is worth every penny! I got mine from Amazon (many years ago) and I still use it almost every time I head out to the range with my long gun…although I now have both the Imperial Slide and the Metric Slide. As previously mentioned, the MILDOT MASTER is available in either Imperial or Metric versions. *The above links are “Affiliate Links” which basically means that although you get the lowest advertised price, Tactical Classroom does make a (very) small commission…which helps support the Tactical Classroom website. If you don’t feel comfortable purchasing through these links, you can purchase the Mildot Master directly from Mildot Enterprises by clicking here. 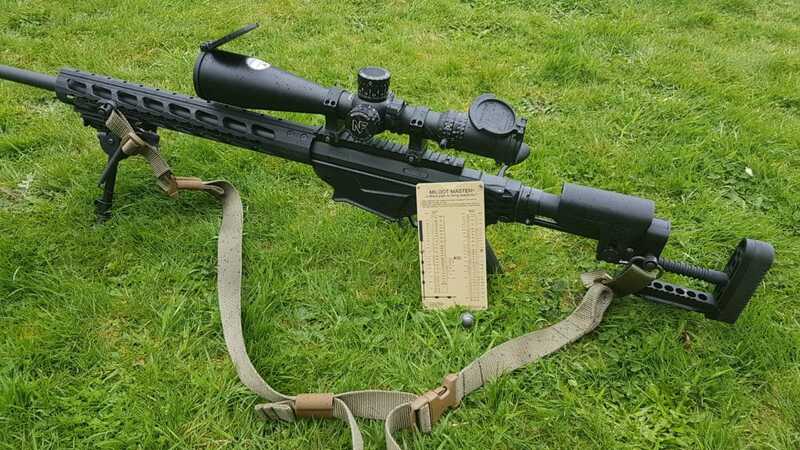 If you want to know more about Long Range Shooting formulas, click here to find out more. I’d love to get your feedback and/or opinions so be sure to leave a comment below.